Polar Skate Co. | F.G.
As Pontus Alv’s brainchild, Polar has quickly grown from a niche Swedish brand to becoming one of the leading entities in the small brand resurgence the skateboard industry has seen over the last few years. Alv’s vision for the brand has always relied on creativity rather than technicality along with a heavy DIY ethos. This approach is shared by all affiliates of the company; from the team riders to the artists and encouraged across their video output and board graphics. Alv’s own artwork and photography has featured on various boards since the company’s inception while his Happy/Sad motif has practically taken on a life of it’s own; becoming as synonymous with the brand as its country of origin. 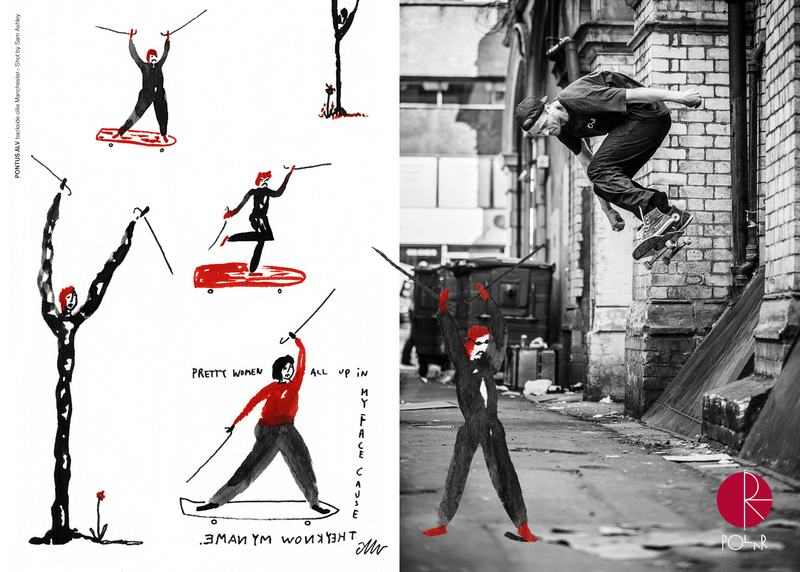 Alongside Alv, Jacob Ovgren is a key figure within the company providing a cartoony and more light-hearted tone. Stefan Narancic’s imagery, with themes and inspiration ranging from old statues to space and science fiction, also frequently appears across boards and clothing, while more recently artist AMTK was brought in, bringing another new but fitting approach to the company’s imagery. Though not invested in the competitive aspects of skateboarding, Polar has cleaned up at BESA (Bright European Skateboard Awards) over the last three years taking the ‘Brand of the Year’ award each year running, along with Alv earning ‘Videographer of the Year’ in 2013 for The Polar Skate Co. Promo and ‘Clip of the Year’ in 2014 for No Complies & Wallrides + Shuv Its. The brand also has a solid reputation when it comes to collaborations, working with Carharrt, who Alv and Jerome Campbell also ride for, along with three unique suede Chuck Taylor All Stars colourways in partnership with Converse Cons for late 2014. 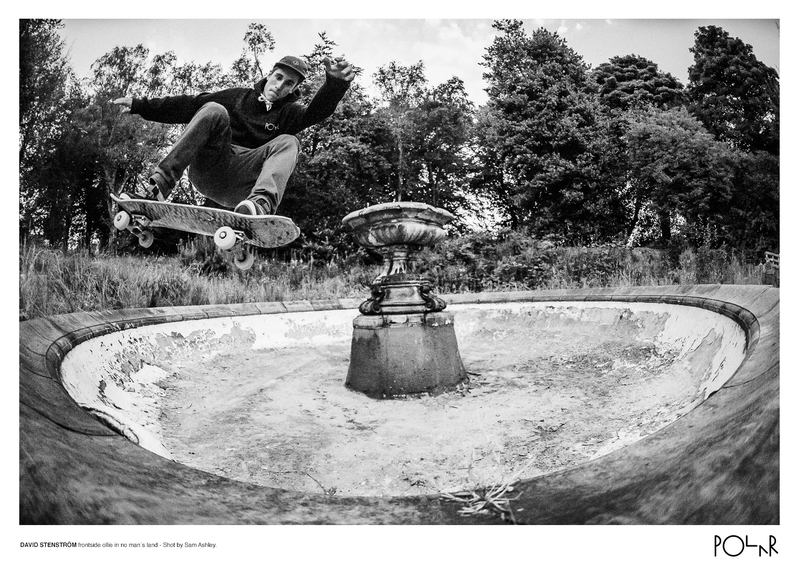 The company also seems to be fairly fond of England, visiting in 2013 and spending most of the their trip in the North, the Polar guys teamed up with the Palace Skateboards crew and managed to fit in a demo at Hyde Park, Leeds before heading home with both Hjatle Halberg and Alv gracing the cover of Sidewalk Magazine the following month. The team returned for the ‘Surf & Turf’ tour the following summer which focused around south areas of the country. Members of the early line up consisted of the Alv himself, Hjalte Halberg, David Stenstrom, Michal Juras and Oskar Rozenberg Hallberg (more commonly known as Oski…) with Jerome Campbell jumping ship shortly before the demise of Blueprint. 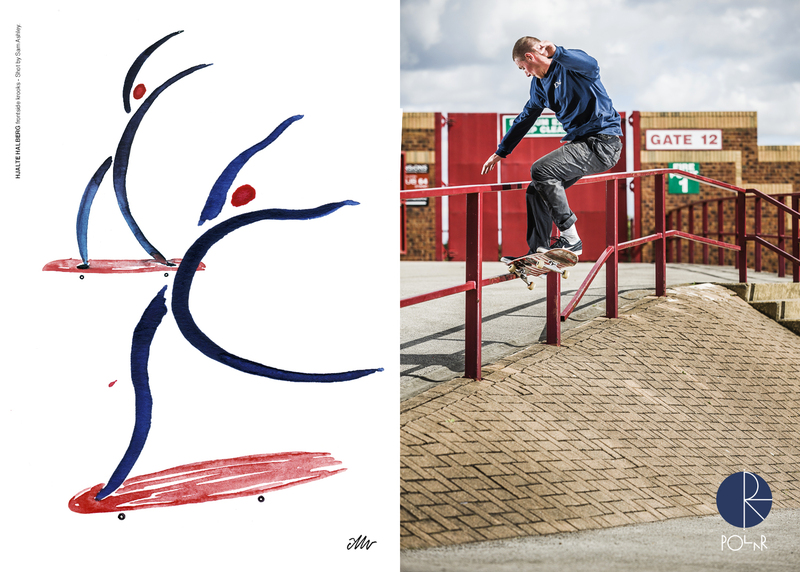 NYC heads Dane Brady, Paul Grund and Aaron Herrington have been welcomed to the team with Aaron becoming the company’s first US based pro last spring while more recently, French connection Kevin Rodrigues was turned pro earlier this year. Polar’s video output has been constant, with each promo practically becoming a cult classic within skateboarding despite the company only forming three years ago. Aside from the aforementioned promos (The Polar Skate Co. Promo and No Complies & Wallrides + Shuv Its), Polar have produced the incredibly well received Trocadero Days and Manhattan Days which presented the team taking a variety of portable obstacles to Paris and New York respectively. While an actual release date is yet to be confirmed, Alv and co are working nonstop on Polar’s first full length video which should be making its way to screens at some point next year. 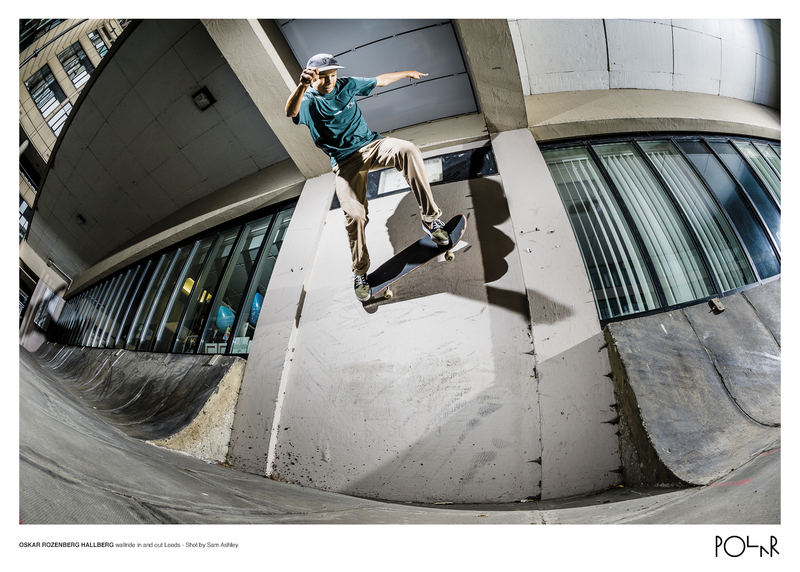 Tags: Aaron Herrington, Hjalte Halberg, Keen Distribution, Malmo, Oski, Polar Skate Co, Pontus Alv, Sweden. Bookmark the permalink.